Forensic Science is one of the most interesting classes available to take at Morgan. 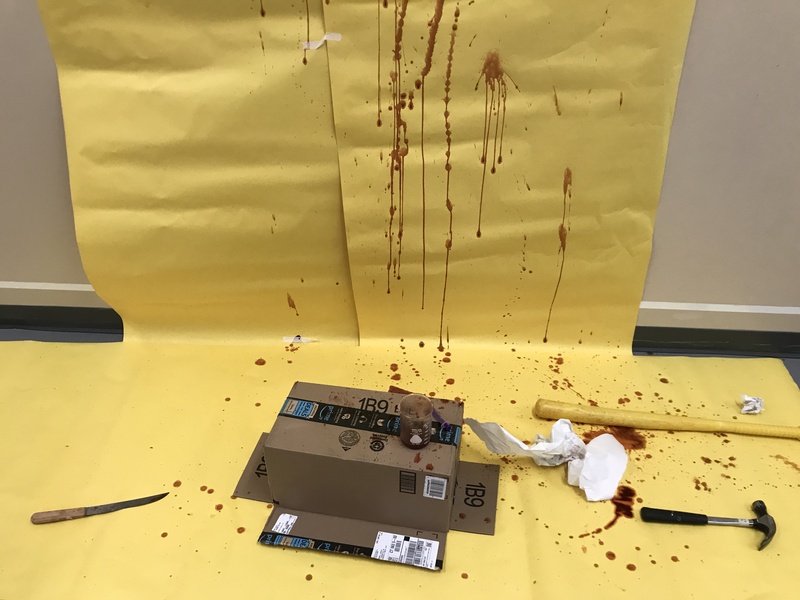 Whether you want to get involved with crime scene work or are simply looking for a fascinating experience, chemistry teacher Karen Kaestle makes this class fun and informative with hands-on experiences, like investigating a crime scene. 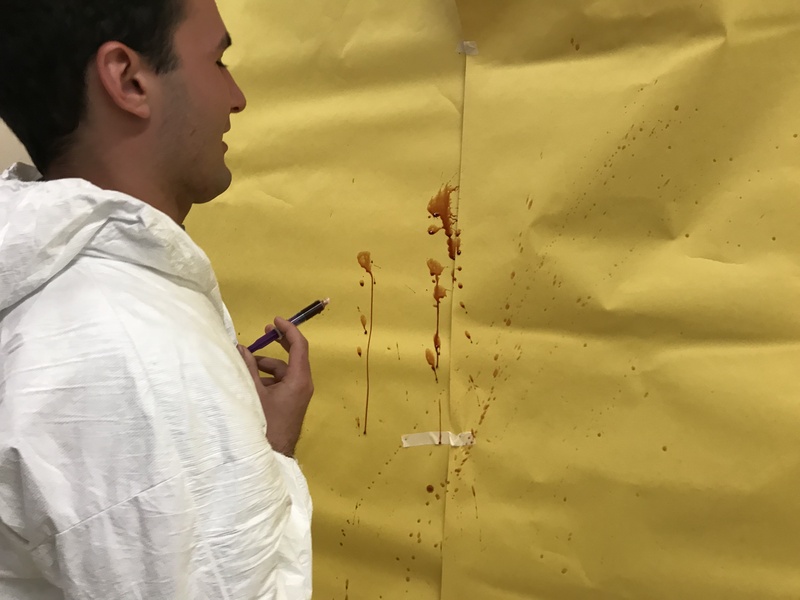 Recently, classes participated in a blood spatter lab where students went out into the hallway and threw fake blood against the walls using various methods. This included dipping a knife into the blood-like mixture and swinging it up and down, as well as filling a syringe with the concoction and squirting it out against the wall. This was meant to simulate actual crime scene patterns, and the results were outstanding. By measuring the heights and widths of the different blood drops, Mrs. Kaestle taught the students how they can find the angle at which the blood fell. This is what detectives use to try and piece together what happened at the scene of the crime. Also, students learned that different objects will produce different spatters. For example, blood coming off of a blade will produce very fine and many blood droplets with an upward direction, whereas blood from a syringe-meant to replicate blood coming from a wound-is very thick and tends to go downwards as a person staggers towards the ground. Forensic Science is a class with real-world applications, and this helps engage students as they learn new material. Currently, Mrs. Kaestle is teaching how to determine the time of death using rigor, livor, and algor mortis. By looking at the stiffening of the muscles in a corpse, along with other factors like temperature and the place of death, forensic scientists can determine how long ago someone died. Everything taught in this class is used by law enforcement and scientists and is crucial to solving crimes and making our society a safer place.